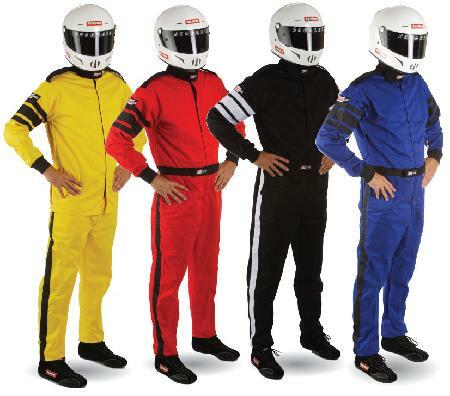 TracksideTim's offers lots of possibilities when it comes to designing your own suit! We have a wide range of fabrics and colors for you to choose from. A "billboard" is a panel of contrasting fabric that goes across the chest of a suit. Epaulets are the approx. 1.5" wide straps that go over your shoulders. Boot cuffs or "Petty" cuffs are pants legs that are cut like your blue jeans ("boot cut"). 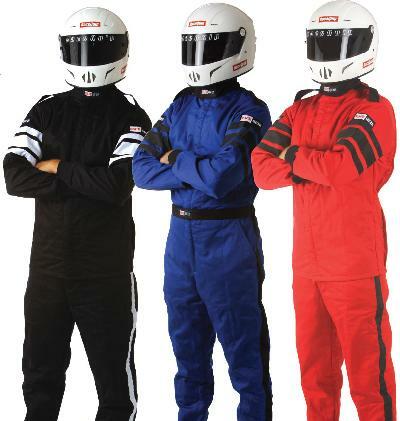 "Custom made to order" means you will not get your suit for this weekend's race. Please allow 4-6 weeks. All Safe-Quip suits are made in the USA with US materials.